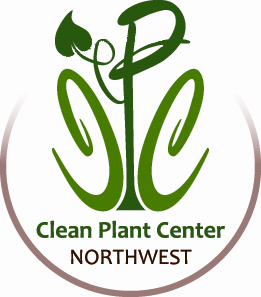 The Clean Plant Center Northwest is a collaborative effort of scientists, researchers, growers, and nurseries who work together to increase the economic sustainability of specialty crop production in the United States. Please visit the CPCNW Website for additional information. 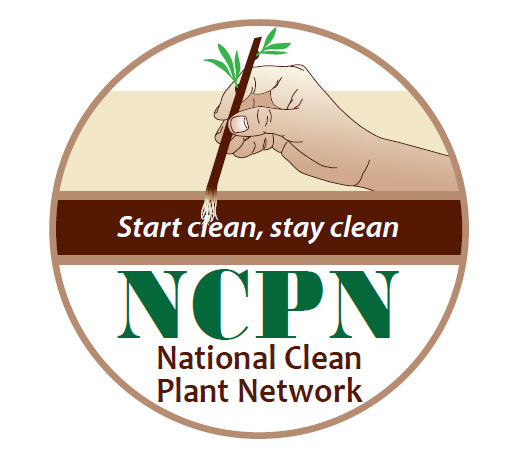 An email-based newsletter for the National Clean Plant Network is available. Visit National Clean Plant Network and sign up to be added to the distribution list. 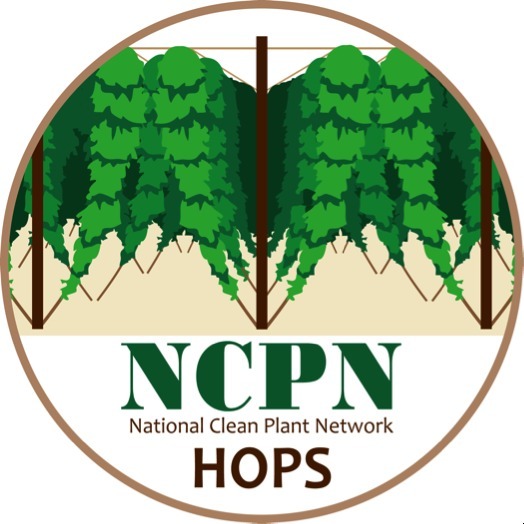 National Clean Plant Network-Hop's mission is to assist in the production of high quality asexually propagated hop plants free of targeted plant pathogens and pests that cause economic loss, to protect the environment and ensure the global competitiveness of specialty crop producers. While several plant viruses can infect hop plants, the disease of greatest concern is caused by hop stunt viroid. This disease, first spotted in Pacific Northwest hop yards in 2004, stunts the growth of hop bines, reducing yield and quality. By 2005 evidence suggests the disease spread through new plants propagated from hop stunt infected plants. NCPN-Hops will provide safe sources of selections from private and public programs. NCPN-Hops will establish and maintain foundation mother plants to provide clean planting stock to industry within prescribed state and federal certification schemes. NCPN-Hops will establish and coordinate working relationships with and among appropriate entities that certify plants for planting. NCPN-Hops will develop and promote best management practices that will be used by industry to maintain pathogen- and pest-indexed status of plants for planting. NCPN-Hops will encourage, develop and engage all possible extension, education and outreach resources that will interact with and train key stakeholders, such as commercial nurseries and growers, to ensure the successful dissemination and use of NCPN products and services. Grower education is an important component of NCPN-Hops. NCPN-Hops will provide a forum to discuss enhancing the system's approach to distribution, exchange and introduction of new varieties. The NCPN-Hops Tier 2 Board consists of representatives from the Washington, Idaho and Oregon Hop Commissions, along with members who represent growers, brewers, breeders and merchants. State government and public research are also represented. Each Tier 2 member serves a 4-year term. Washington, Oregon and Idaho currently have state quarantine regulations prohibiting importation of hop planting stock from outside of the Pacific Northwest. These rules are designed to protect hop growers in these states from the introduction of new pests and diseases that could threaten commercial hop production, as well as prevent the importation of new mating types or strains of diseases already present in the region. Hop powdery mildew is an example, with the disease present in the Pacific Northwest since the late 1990s. However, certain mating types that are known to exist in eastern North America and Europe are not yet present in the Northwest. As a result, the disease continues to reproduce only by asexual means. If new mating types are introduced, resulting sexual reproduction would allow the disease to better survive in hop yards, more rapidly develop resistance to fungicides, and overtake hop varieties that currently exhibit tolerance to the disease. Only a handful of states offer virus and disease certification programs for propagation nurseries and tissue culture laboratories, and these programs are surprisingly underutilized. These voluntary state-level clean plant programs build on the use of virus-tested foundation material from the Clean Plant Center-NW at Prosser. CPC-NW is the only National Clean Plant Network (NCPN) center in the country offering nurseries virus free Generation 1 propagation material of hops. Under state certification programs, participating propagation facilities use the principals of limited generation propagation (G2 – G4), isolation from non-certified stock and vector control measures to produce planting stock that is virus and viroid tested, insuring quality and consistency in hop vines, potted plants, and rhizomes offered for sale. The NCPN has funded development of model national certification standards for other crops, and there are plans for a hop model certification program to be developed. The Washington State Department of Agriculture is currently amending their existing hop certification rule and will make it available as a template for other states that may wish to implement similar rules. Harmonizing these programs with industry input and guidance will be critical to a valuable outcome.